Cold weather, clouds and wind are definitely not an ideal scenery if you want to go for a ride, but not even tolerable for most conditions to ride on the streets. If you have a heavy bike, then you do not have to read the rest of the issue, as you will definitely go out for a ride! But for everyone else, with street bikes, city bikes and classic bicycles which are the most preferred ones, is there a solution to get on his bike, even though it is snowing? Clear cycling solution does not exist. We cannot tell you to ride a bicycle but we have some alternative suggestions that will surely keep you busy and make you feel beautiful. Bicycle maintenance: If you are like lots of the bike addicts, with 3 bikes inside the house, such days are appropriate to start maintenance. Washing, polishing, greasing, changing wires, changing external wires, adjusting brakes, adjusting gears, suspension service, there are plenty you can do. You should see at first what are the most useful tools you need to have and what you should avoid while maintaining the bike. Training coach: If you have not tried it, see how simply you will enjoy and spend your time on the bike. Just having a training coach that will show you all the exercises you need to do. Open YouTube and see snapshots of racing to get more motivated when you get back on the bike: The inspiration we get when we see professional athletes on the bike or climb a hill with tremendous slope – do you really know how the slope is measured? 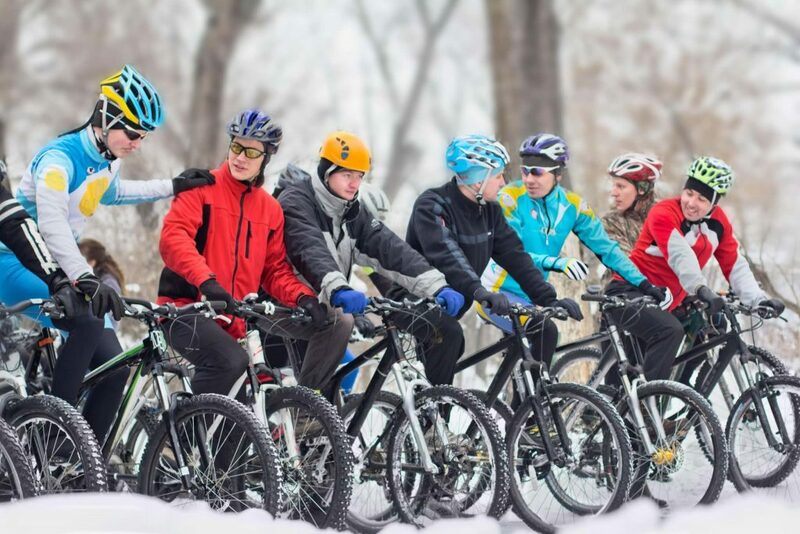 ?- or when they go downhill with bicycles in the roots and the trees are so great that despite bad weather, we want to go out! Search on an online store to find the best deals: There are a lot of opportunities at the web, as they try to get rid of the “old” commodity. Perhaps the shoes with the full-bodied bamboo in the last few months have a fairly low price to get them. Cycling shots of the year: Where to go for a bike, with which, possible racing goals, training goals, even if you just plan to use the bike to go to work, this is something you should include in a shot. Also, plan to lose a few pounds or simply set as target of the year to make even 1 kilometer more than last year. And that profit will be. Start slowly to prepare your body: If you have seen a fight at the beginning all athletes start slowly and after a little while they are rising. The same should be done with your workouts. Allow the body to warm up well before you start vigorous exercise to avoid injuries, but also to get high performance. Keep your muscles warm: You should watch your muscles and especially the leg muscles that are facing the cold air of the atmosphere and keep them warm. Hot muscles are more difficult to injure, but they perform better. High comfort will keep the bike motivated high in winter: The cold is a lot of cough and we often prefer to sit in the warmth of our house than go out for bike training. All this is changing from the moment we have the right clothes and the necessary accessories on the bike for the most rainy days! Rehabilitation and stretching after exercise: Everyone has its own significance, but both aim at better blood circulation in the muscles to leave the products of burns but also to get the muscles elasticity that will make them less vulnerable to injuries. Finally, there is always the solution to the journey. Get your suitcases and leave for an exotic place. Next article Do People Still Go On Eurotrips?